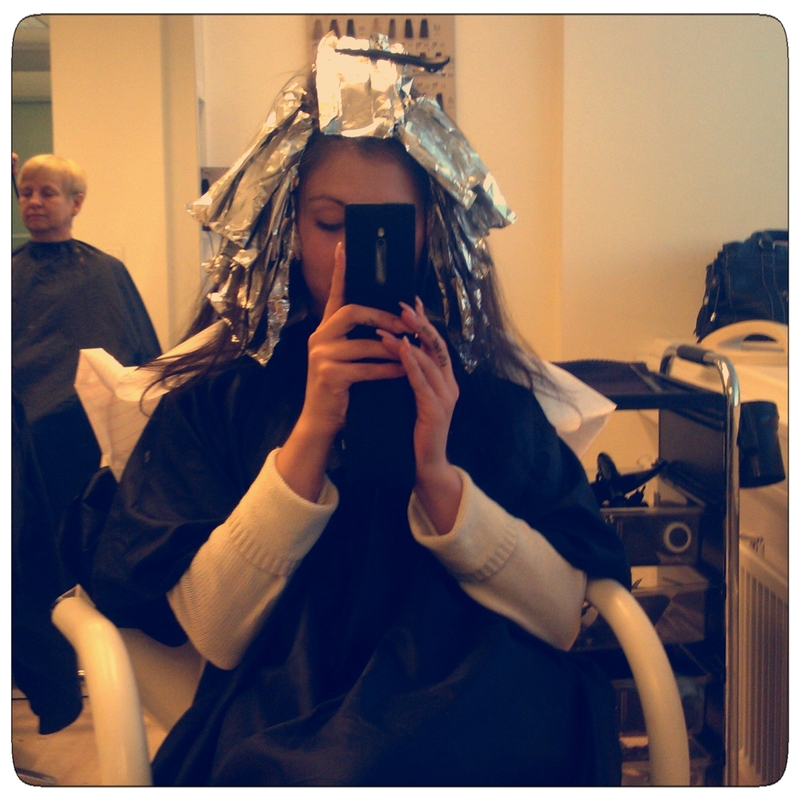 Gots to get mah hair did! I have my hair wrapped in at least a ton of aluminum foil, my head is really heavy and my hearing is as if I were inside an aquarium. 😀 Lots of fun getting pampered, although I am a teeensy bit worried it won’t turn out too great… Wish me luck!